Home › Growing › How Much Marijuana Can I Yield Per Plant? A Pound! Many new growers wonder, “How much marijuana can one plant produce?” or “How much will a 600-watt HPS yield?” Unfortunately, there are no simple answers to these questions. Every grow is different and has different variables. Whatever your reasons for growing are, you care about the yield. You want to know what to expect, and that’s reasonable. I can’t predict your experience, but I can give some reasonable numbers to strive for. 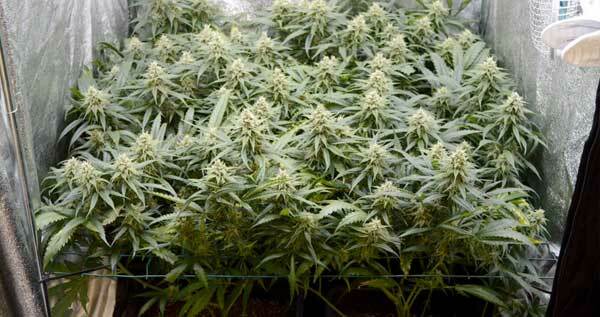 This article will discuss everything there is to know about marijuana yields. I’ve added some common questions at the bottom, but if you have more, place them in the comments below this article. Don’t want to read? Watch the video! 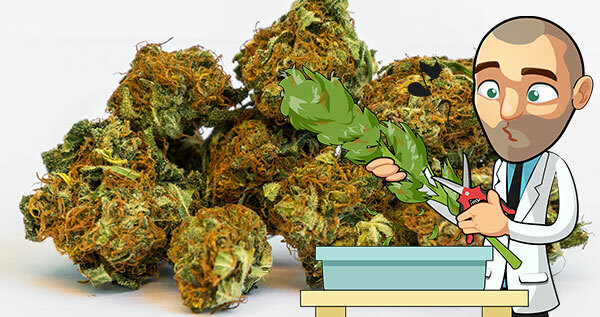 How much marijuana can you yield indoors? Lights are of the utmost importance when you’re growing indoors. Experienced growers can produce about a gram of marijuana per watt of light (1 gram = 0,035 oz). So, a 400-watt HPS grow light can potentially translate to 400 grams or 14 oz of dried, usable cannabis. 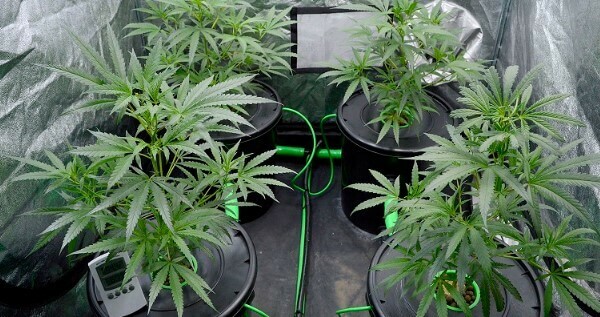 Likewise, a grow room with 1200 watts of light can yield 1.2 kilograms or 42 oz of cannabis. Having the right equipment, adequate nutrient solutions, beneficial air quality, and other valuable factors is important for producing the highest yields possible. Making sure the plants have space to grow is also key. If you are using soil to grow indoors, you can expect somewhat less of a yield than if you’d grown hydroponically. This is because hydro growers can fully control the amount of nutrients their plants receive. 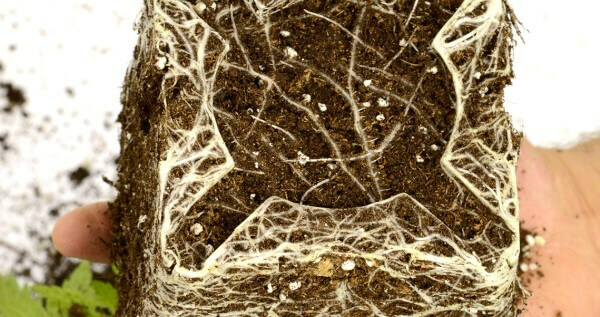 Although soil growing can potentially lower your yield, it also is easier to grow. This is because it not only creates a buffer for error, but it also holds nutrients within the soil. 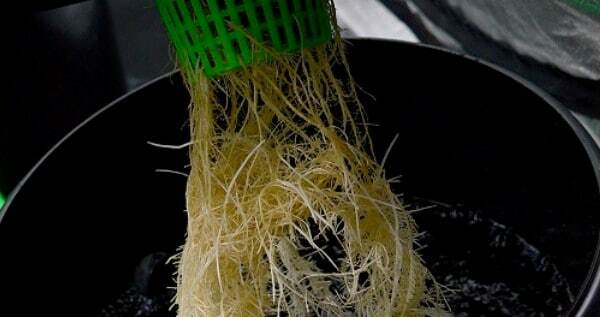 When growing in soil, there is room to make mistakes with pH and TDS and pay for it in yield. In terms of numbers, expect a maximum of 1 gram per watt. That means a 600watt lamp can produce 600 grams of marijuana or 21 ounces. Growing hydroponically yields up to 20% more, as long as you do not make any mistakes. With hydroponic growing, there is no room for errors. You must be very careful about the TDS and pH levels because the roots are directly in water (and not soil) and incorrect levels can immediately affect the plants. There are rarely small mistakes while growing hydroponically. Even the most minor error can ruin your yield. However, those who do it correctly will be rewarded. You can expect up to 1.2 gram per watt, which means a 600watt HPS lamp can give you 720 grams of marijuana or over 25 ounces. The name says it all. This strain grows huge buds which in turn yields great amounts of dry herb. Learn more about Big Bud here. Under perfect conditions, you can expect yields to extend to 500 grams or 17.5 oz of marijuana per plant. Space is a necessity (at least two meters) along with water, nutrients, and a dearth of pests and diseases. If you use containers, they should be at least 50 liters or 15 gallons in size. It’s a good idea to germinate the seeds early on to allow the plants time to grow large. It’s best to germinate indoors where you can manage the humidity and the temperature for the seedlings. Again, 500 grams (17.5 oz) per plant is possible if everything goes as planned. Aside from an adequate amount of sun, water, and nutrient quality, the actual genetics of the plant play a very important role. Seeds are vital, and you need to have some exceptional seeds at your disposal. Browse my seed selection to find the strain that’s right for you. It all starts with genetics…. Want to predict your field before you grow? It doesn’t have to be a guessing game. Try using a cannabis plant yield calculator. This calculator by Yield O Rama lets you select your type light, the light intensity (lumen), your level of growing experience and your growing medium. When using the yield calculator, keep in mind that an HPS grow light produces around 150 lumens per watt. For the exact amount of lumen that your bulb produces, check with the manufacturer. You cannot adjust it for the strain, and it’s only for indoor grows, but it is still quite handy. Check out the cannabis yield calculator here. You can also measure your yield after you harvest but, keep in mind…. Drying your weed slowly (10 to 14 days) in a climate controlled dark and dry place with a temperature of around 64 degrees will get you more weed in weight. You will get about 20 % to 25 % out of your wet weed after drying, depending on the strain, the density of the buds and the way of drying. Only weigh the wet buds and not the whole plant. Out of a well cultivated Sativa you will get approximately 20% -22% dry weed and from an Indica about 22% -25%. So out of one-pound wet Amnesia Haze you will get approximately 7.4 ounces and if you dry one pound of White Widow you’ll get about 8.4 ounces. At a street price of $ 7 (Oregon) or $12 (Texas) this is very good profit. You will end up with approximately 12.5% if you weigh the entire plant, including stems and leaves, while it’s wet. Indoor growing doesn’t bring a lot of certainty in terms of yield per plant. If you have only four plants per lamp, then you’ll yield much more than you would with a total of sixteen plants for every lamp. Grow sixteen plants under a 600-watt HPS lamp and produce about 37.5 grams or 1.3 oz of marijuana per plant. Grow four plants using a 600-watt HPS lamp and yield about 150 grams or 5.0 oz per plant. But grow one huge plant per 600-watt HPS, and you could produce a pound of marijuana per plant! The Screen of Green (SCROG) technique is an excellent way to increase your yield. The idea is to top your plants and place a screen at 15 inches above your plants. When a branch grows 4 inches through the filter, tie it to the screen horizontally. Continue attaching the branches until you get a nice ‘blanket’ of tops. Any light that hits the floor or walls is wasted energy. With the SCROG method, you create a thick ‘blanket of leaves’ out of your plant that prevents light from being wasted, and instead forces it to be absorbed by the leaves. When every plant is the same height, each will receive the maximum amount of light. With this method, there are no plants or branches in the shade, and you can place the lamp as low as possible, as long as temperatures don’t exceed 77 Fahrenheit. Because you prune the bottom branches that don’t grow through the screen, the plant doesn’t waste any energy on developing the small, soft buds at the base of your plant. (FYI, they never ripen.) Your plants also don’t waste energy on leaves and branches it doesn’t need. All of its energy goes to the top colas! I’ve used the screen of green method for many grows, and I’ve always been satisfied with the results. If you use it, your yield can increase by 10 to 20%. 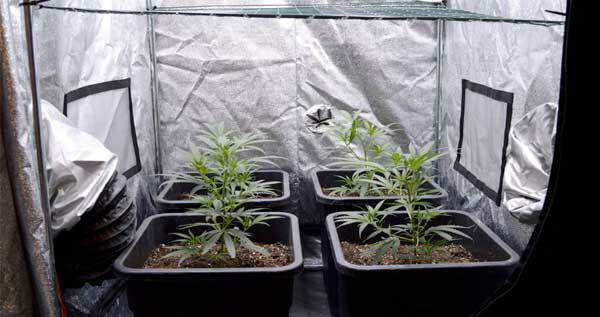 Read my article How to scrog for more information. You’ll need to master the basic grow skills of watering and pruning, first, however. 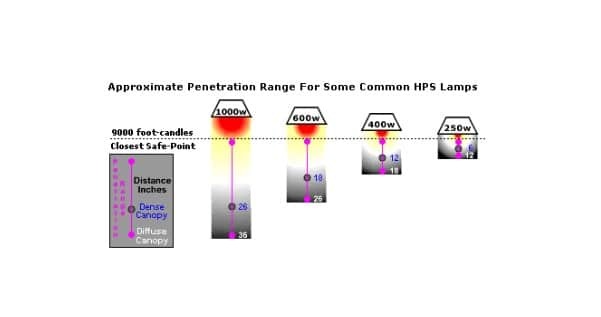 Does a 1000-watt HPS yield more than a 600-watt HPS? Well, not necessarily. While a 1000-watt HPS bulb produces much more light than a 600-watt bulb, a plant cannot convert all that light into energy. It will need more CO2. There is around 350-400 ppm of CO2 in the air. 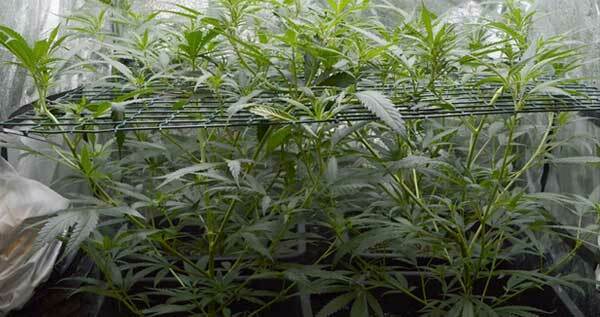 Indoor marijuana plants will use this CO2, combined with energy from the light to create sugars. If you grow in a closed grow room without an air inlet, the plants will use half of this CO2 within an hour and then slow down sugar production because CO2 levels are dangerously low. This is why you must continuously ventilate your grow room with fresh, CO2 rich air from outside. With 350 to 400 ppm of CO2 in the air, your marijuana plants cannot create more sugars than the light from a 600-watt HPS bulb produces. So your yield will not be higher if you use a 1000watt HPS lamp under normal circumstances. On the other hand, if you increase the CO2 levels, your plants will need more light, and in that case, a 1000-watt bulb can almost double your yield. It’s a large investment to buy the right equipment, but a 1000-watt grow light is worth it in terms of yield. Want to learn more about CO2 and yield? Here is an interesting article about CO2 and tomato plants. 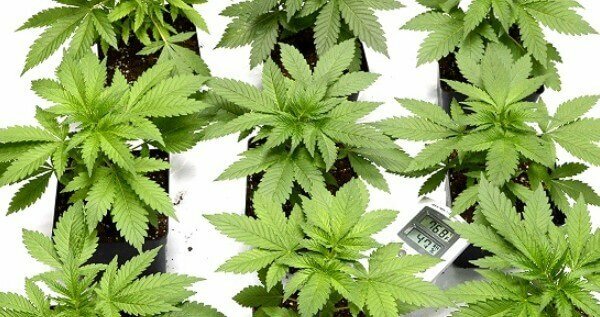 In my Grow Bible I talk some more on how to increase your yield with CO2. You can download a free copy here. 1.5 to 2.0 oz average (3.5 oz for advanced growers) with 200-watt CFL lamps in a grow cabinet measuring 3.5 x 1.5 x 6.5 ft.
3.0 to 5.0 oz average (9.0 oz for advanced growers) with a 250-watt HPS lamp in a grow cabinet measuring 3.5 x 1.5 x 6.5 ft. There has been much said about LED lights, with many manufacturers claiming super high yields, but I haven’t seen them yet. I’ve tried a 300-watt LED grow two years ago and generated less than half of what I usually produce. Many of my friends also haven’t received desired results. So, I can’t tell you how much you will yield with a LED grow light. If anybody has some results, please share them in the comments. I can confirm that LED lights produce a lot less heat compared to HPS lights. This will cause the plant to evaporate less water, changing the water and nutrient requirements for growers. Clones for sale for $15,- each at La Conte’s clone bar in Denver. But these figures do not cover the cost of producing weed. You need to buy equipment, nutrients and keep an eye on the electricity and water costs. Below are some estimates; read my article on costs and revenues for more details. 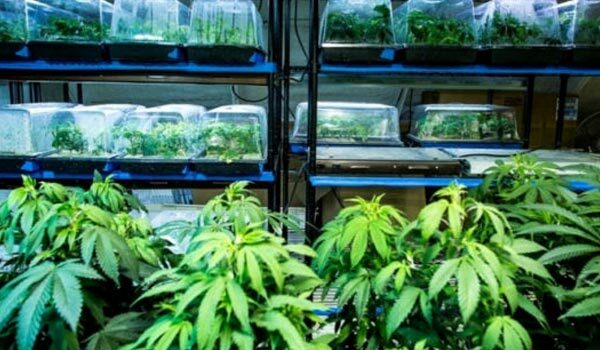 Growing 5 marijuana plants in a 2×2 foot grow tent with 2x100watt CFL will cost you around $1000 per year and yield 0.25 pound of marijuana per harvest. With 4 harvests per year, each marijuana plant costs about $50. Growing 5 marijuana plants in a 4x4foot grow tent with a 600watt HPS light will cost you around $2000 per year and produce 1 pound of marijuana per harvest. With 4 harvests per year, each marijuana plant will cost around $100. The basic equipment like filters, timers, and exhaust fans are very expensive. The price difference between a setup for 2 or 4 lights is only 20% higher, but the yield doubles. Again, learn more about the revenues and costs of growing marijuana on my blog. You could be saving money, especially if you yield a pound per plant. Want the most yield for your effort? Grow one plant. You have to prune and trim your plant a lot otherwise it will grow through the ceiling. Scrogging is the way to go to cover 10 square feet with one plant. Growing a one-pounder is a fun project, but there are some downsides. You need to veg the plant for very long until the entire floor is covered with leaves, so no light goes to waste. Plus, if your plant gets sick or anything, you don’t have replacements. But it can be done! Want to feature your 1-pounder indoor plant on our blog? Send me a picture! Whether you are growing indoors or out, you can effectively plan for how much weed you’ll yield. In some cases, you can even grow a pound per plant. It’s all about planning your grow setup and using the right grow techniques. You can predict your yield with a calculator or wait and weigh it after the harvest. However you decide to grow, you’re likely to save money over buying it at a dispensary. So, How Much Does Gold Leaf Yield? Gold Leaf is my very own, proudly bred, strain, and I must say; it is a very decent yielder! What about fluorescent lights? Can I use them throughout my grow? You can, but you will not yield as much. They work best during the vegetative stage. For more on fluorescent lighting read these articles. Are there any other ways to increase yield? Yes, there are other techniques that can increase optimal yield. Read these articles to learn more. I want big yields, but I have a small space, what do I do? You can try a variety of plant training techniques such as scrogging as well some other tips mentioned in this article. Are the estimates in this article reliable? Your final yield depends on a variety of factors; too many to develop a reliable equation. The estimates in my article are the best-case scenarios for the average grower. Inspired to grow your own? Read from some comments from these happy customers and hopefully see you soon! epic article !! clear even to me :-) just can not understand, what distance should be between plants? How many of them do you have on picture nr. 7 ? Hi Mark ohara pleasure meeting u got all that u sent....thank u..it's amazing ur. knowledge on growing...will be placing an order tomm....thanks! In uruguay the common unit for pot is "the 25" referring to a little brick of 25 grams of hard pressed cannabis plants, or moire recently when cannabis was legalised, 25 grams of non pressed cannabis buds. We Americans use both every day. With Marajuana we typically use grams and Ozs. For our dispensing. I'm older and this is the way it's been done since the 60s. Hey Maziar, you could try our forum where we have experts and fellow growers to guide you. Happy growing! sorry mate. just saw this post again. ask away and i will see if i can assist you. Is the sour diesel strand/ seeds good for a beginner grow ? And if not what do you suggest ? Don't have much space. I wouldn't recommend sour de for west time grower but you never know I'm sure it's happened. I would recommend White widow. Very easy to grow hybrid with nice yield and an impressive social smoke. Get better at growing and you would. What about super cropping? One plant medical grow super cropped is better than scrog! Scrog maybe good for commercial growers however supper cropping is more efficient for personal growing for medical conditions! What about if you use 8 VHO florescent lights, four blue and red. Will that increase the yield for growing indoor to the advertise yield? Yields only 1 to 3 oz. per plant is not acceptable in my opinion! To all the brave men who went into Gaza to all who fell. Light spacing....genetics and lumens=great yields! How much can I expect from white widow if I have a 250w Hps and two 125 Cfl light on the sides of the plant? Great you are at the right place, just go to our shop!! Have you used LED lights? What is your opinion on them, besides cost. Very great post. I simply sbtumled upon your blog and wanted to say that I've truly loved browsing your blog posts. After all I'll be subscribing to your rss feed and I hope you write once more soon! Thanks for the heads-up on the maths. I like maths, but I forget to do them sometimes. That should be especially enjoyable for North American brethren, who don't say maths very intuitively. Does anybody have experience with using a "Earth Box" for their grow? Pete, I have not used the Earth Box. However; If you sign up to our Support forum, I am sure you will find many members with experience with that product. 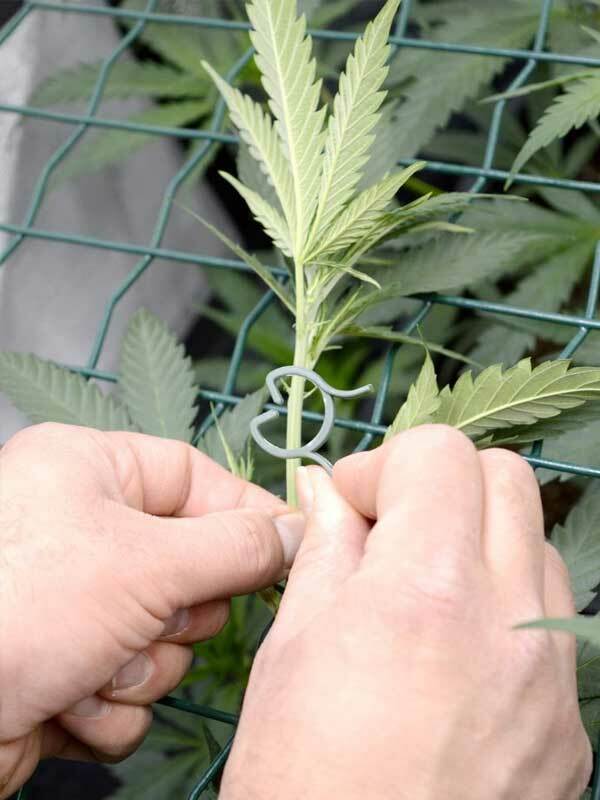 By Stop Leaf Septoria On Marijuana Plants Now! By Stop Nitrogen Deficiencies In Marijuana Plants Now! I actually have a fourth 1000 watt lamp in the room, just haven't fired it up yet. Nelson. I do not see a reason to add a 4th, but if you fell the need, go for it. If you are growing indoors in soil; Use a jiffey pellet to propagate your seed If you are setting up a hydro system, then use 1.5" rockwool cube. I'm planning on buying the set to grow along with seeds and I read that you can get more from one plant than you can with 4. Which would you recommend? What about led lights. Any thoughts? Growers experienced and new come together to learn from eachother as well as from our expert grower. You can have a look around here and sign up with the top-right button. Im scared to buy seeds -_- how can i trust you sir? Hi Troy, from what we've seen they may yield a little bit less than HPS but it's almost negligible when grown right. Should of said also that I'm going to lollipop them and supercrop them as well as top them, they are on a 18hr light sequence at the moment then switching them to 12/12 hr. What about the LED Full spectrum reflector? Hi, is there any info on growing your seeds with a Miracle-Gro AeroGarden unit?? Thank you, latewood_ILGM, for the quick reply. Hi Leventis, the blog isn't really set up to answer these types of questions but if you hop onto our support forum our experts can help you out there. But ain't the most determining factor is the strain your growing. Some strains just don't produce as much as others do they ? Good to hear Robert's information is helping you Frank! Happy Growing! Mike, That is a small tent, and it will work for veggin clones. As far as mixing compost or manure with Miracle Grow; That soil might be too HOT. Be careful. Thanks Mike, I'm glad we're helping out! Hey Kb, Great stuff. Thanks for sharing. How many seeds should be placed in each container? For example one seed per bucket or two seeds per bucket and so on? Hello elaine. Do you have experience with soil? Could u maybe help me out with my grow quick? I've never grown in soil. Hydroponics is the way for me. I get bigger yields with water rather than dirt. What seems to be your problem? Hello all, can someone please help me out with my grow? Advise, anything? Hi James, nice platform you're building with CAN! You can syndicate the article but pls give proper credit to Robert Bergman including link back to the original content. ***Correction: RED LIGHTS FOR VEG AND BLUE FOR FLOWER. Happy growing! Red and Blue make Purple. The only Green is your plant. Not to mention that Blue is more vegitation, and Red is for your flowers. Your success is a miracle. Gday Robert, I'm planning my first crop but just plan to stick a few plants in pots in my lounge room without getting a setup, is this a good idea? Hey, I was wondering if clones need to be a certain distance apart from each other when growing outdoors. If so, how far apart should I plant them? The distance between plants is determined by the grow method, and size of clone when added tot eh garden. As a general answer with little input to go on, I suggest 3-5' apart. I started off with 2 large plant pots and got about 1/2oz max. Then I got a mega bag from sports direct and planted one plant and got 3oz.I recycle the compost to. I'm a first time grower, 800w cob led, living soil from roots organics, fertilized with only Papa's perfect poop. Nitrogen gains were with white dutch clover. Would love to send pics. another question when you harvest your plant you only talk about buds can you also harvest the leaves and smoke them or is it only the buds??? I have a 2.5ft tent running 2 x 250watt HPS light over a 4 clone scrogg, skunk #1 how close to 1 pound of weed will I get?? I have a 2000w led light.. do you think its a good light for growing indoor.. i have a green room of 4x4. Can you guide me about at what distance I should keep the light from the plants.. I want to grow a personal amount on my tiny deck, in Missouri. I want Jack Herer and Harlequin. Is this even possible? Can you please reply via email?? TYVM! Back in the 1970's a friend and I grew a Colombian gold plant in the los angeles national forest. It was 12" tall and produced six and a half pounds of sensimilla! Whats the average amount you get your first harvest per plant if you're growing indoors any advice because im wanting to get a dealzer grandma secret grow box that grows nine but im gonna grow just give any advice? Where did you find that SCROG screen? I want that one. You can get the PDF file here: www.growbible.ilovegrowingmarijuana.com/the-marijuana-grow-bible-free-original If you still have trouble receiving the bible, please get in contact with our customer support team and we will help you out! 1st timer, can you tell me how long seeds are viable before unable to germinate?